July 4th weekend is almost upon us, which means one thing- patriotic celebrations all wrapped up in red, white and blue! Families all over our great country will be heading to parks, beaches and backyard barbecues to commemorate the occasion with fireworks, sparklers and other symbols of Independence Day. And many of them will be pulling behind them another American icon in a certain signature color- a Radio Flyer Wagon! Since 1917, the famous little red wagons by Radio Flyer have been a favorite of families and kids everywhere. Boasting more than a dozen award-winning wagon models and a complete line of tricycles, scooters, and other ride-ons, Radio Flyer is as synonymous with outdoor play as summer itself. There are endless ways to enjoy your little red wagon, from standing out in the crowd at the Fourth of July parade, to toting all the ingredients for a fun summer picnic. Not only will your red wagon provide hours of outdoor adventures, it will bring a lifetime of memories too. That's why Radio Flyer is celebrating the beginning of summer by launching the World's Largest Wagon Mosaic. Simply capture your families' Radio Flyer moments on camera and go to www.RadioFlyerArt.com to add your photo and help the legacy of the little red wagon live on! Radio Flyer has offered up 3 fantastic versions of their famous wagons: the Classic Red Wagon, the All-Terrain Steel & Wood Wagon and the Ultimate Comfort Wagon. Kelly Ripa and Electrolux are joining forces once again to celebrate the launch of Electrolux Appliance's new stand-alone refrigerator and freezer - that's right, the familiar duo has split up. And to sweeten the celebration, they're bringing in the "Emperor of Ice Cream" Stephen Bruce, owner and founder of Serendipity 3, the landmark New York City restaurant and dessert spot, into the mix. Kelly and Bruce teamed up earlier today to make banana splits for a cause. And now we want you to dig in, with your virtual spoon! Starting today, at www.Kelly-Confidential.com, you can build your ultimate banana split using virtual ingredients from classic whipped cream to caramel sauce to rainbow sprinkles. For each "split", Electrolux will donate $1 to the Ovarian Cancer Research Fund as part of its $750,000 commitment to help fight ovarian cancer. From 6/29/10 - 9/7/10, Electrolux will donate $1 to OCRF for each banana split made, with a minimum of $35K and a maximum of $40K. Thanks to Momselect, for posting this I will be entered into an exclusive contest to win a very stand-alone refrigerator and freezer from Electrolux! Scholastic came out with another good preteen book for their new Poison Apple series. This Totally Bites is about a young girl who finds out her family is from transylvania due to a school report on family history. 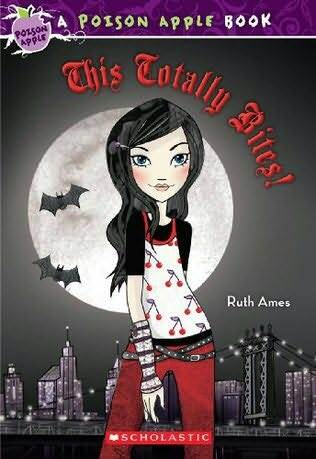 Her Aunt comes to visit and she starts to think she's a vampire... alot of bats in the book but its cute and really great for preteens. Thumbs up! Thanks to BzzAgent, I was sent several samples of göt2b® smooth operator. Its a new line from göt2b® and I've love this company for several of its products already. My review - I liked the smell, not overpowering. I didn't leave my hair heavy or greasy. It did give it some help with the 'frizzyness'. I applied it after washing and towel drying my hair (Note: my hair is LONG and THICK, so I had to use it twice to get enough coverage). I did like the fact that my hair didn't crunch it was rather soft. But we had a really humid day and it frizzed just a tad for me. For the price approx 9.99 at retail stores - it is a good deal and worth trying. Simply Cute - And they are!! Simply Cute has just sent us the cutest wall letters!! The are adorable!! We have two little ones that help us a lot with our reviews and they were ecstatic to see these - so were their moms. They have pre-drilled slots in the back to hang easily, secure decals and heavy duty material. The moms were really impressed with them, surprised they were handmade. 9" wall letter decorated in red, white, and black stripes with a Lady Bug crawling up the top. Very cute and Perfect for any ladybug decor! 9" wooden letter wall hanging with light blue and chocolate brown polka dots and a little brown puppy to complete it. Would you like to Win a choice of the small letter wall hanging or small piggy bank... Then enter the contest below!! Optional Additional Entries:(Once you've done the required entry, you may do as many of these additional entries as you'd like!) Leave separate comments for each entry. Contest Ends July 3rd - DONT forget your EMAIL!! Schools Out - Make it fun!! School is out and children are so excited that summer is here, but it won't be long until you hear the infamous, "I'm bored" from your little ones. Primrose Schools, the leader in educational child care, recommends encouraging imaginative play and having a plan in place to keep children's minds engaged during the summer months. Studies show that without stimulation, children can lose up to 60 percent of what they learned during the school year. That's why Dr. Mary Zurn, Vice President of Education for Primrose, has come up with the list of ideas below as a starting point for summer activities that offer a balance between the freedom of child-initiated play time and more structured activities. 1. Boredom Buster Jar: At the beginning of the summer, sit down with your family and brainstorm a list of activities that can be done alone or that you can enjoy doing together. Encourage your children to share their own ideas and help you decorate and label a simple jar as the family "Boredom Buster Jar." They'll feel more involved in the project and more likely to think this is a "neat" idea, if they participate in the creation and idea generation. Next, write everyone's ideas down on slips of paper and as a group decide which ones should go in the jar. Anyone in the family can pull any idea out of the jar to fight the summertime boredom blues. 2. Stories Alive: It sounds too simple, but reading is one of the most important waysto keep young minds engaged during the summer.Make reading even more fun by finding ways to bring the stories to life. For example, in the book Roxaboxen by Alice McLerran, children create a make-believe town in the desert out of rocks, boxes, and their imaginations. Read the book with your children and then challenge them to create their own town with materials they find in the backyard. 3. Art Start Box: You'll need to gather basic art supplies-child safe scissors, glue, markers, tape and construction paper. Put them in a special box along with empty oatmeal boxes and paper towel rolls, colorful magazines and bits of aluminum foil. Occasionally add a special surprise like chalk, stickers, or stamp pads so there's always something new for the children to find. Even if you normally have these supplies around the house, it's fun for children to know that the Art Start Box is just for them. They'll probably have some good ideas of other household items that can be recycled to fuel their creative energies. 4. Family Performances: Break out old clothes or costumes and encourage children to make up characters and create a play to act out. They are the directors, actors, and producers. They can also make musical instruments out of pots/pans, wooden spoons, empty canisters and have a parade; or everyone can play along to your family's favorite songs. Record or video the performances, and enjoy the replay. You'll also be capturing a bit of family history everyone will enjoy for years to come. 5. Family Dance Party: Crank up the music and encourage your entire family to boogie down. Dancing gives children a great outlet for self-expression through their own motion and helps build self-esteem. It also enhances motor and coordination development by incorporating skills like jumping, landing and leaping. Dancing is a great activity that can involve the whole family and doesn't take very much preparation. 6. Fort Building: Children love to build all kinds of structures--from small towns to large towers. Constructing forts or tents is an activity that can keep children focused and problem solving for hours. All the items you need can be found around the house- some chairs, cushions, blankets, and of course adult supervision. 7. Cookbook Fun: Have you ever shared your favorite cookbook with your children? Take it out and ask your children to choose a recipe to try. Measuring can be a fun and easy way to keep math skills fresh. 8. Summer Scrapbook: All you need for this project is a spiral notebook. Encourage everyone in the family to draw pictures of favorite activities and collect mementos from special events throughout the summer. Children love to go back through scrapbooks and albums and tell about what happened at each occasion. They will also be building their storytelling skills at the same time. 9. Listening Game: Lie down in the backyard, in the den or at the park and listen. What do you hear? Do you hear what I hear? Can you imitate the sound? This is similar to watching the clouds and naming the shapes, and it encourages everyone to slow down and focus on listening. 10. Camping Out: Pretend to campout in the backyard. Plan a meal, pack a backpack and set up a campsite. You might even decide to spend the night! 11. Scavenger Hunt: Make a list or picture cards of common household items and have your children find the items on the list. Invite friends or neighbors to join in the fun to make it a competition. To find these and other great tips for parents, check out Dr. Zurn's blog at DrZandme.com. And don't forget to grab Dr. Z's Widget while you're there! For more information on Primrose Schools, visit www.primroseschools.com. You can also check them out on Facebook and Twitter! I just finished Dance with a Vampire, The Coffin Club, Royal Blood and Love Bites. They are all short books (150 pages) and I will say set for preteen vampire romance. I could definitely let Amber read these with no worries. It's funny though - the main character Raven isn't the one growing up, its her boyfriend Alexander that seems to grow up more and more through each book. She does some, realizing more about her boyfriends vampire night life and why its difficult for him to 'turn' her. I gotta love how she's so on the moment, no hesitation, out to have fun and just does what she wants without thinking of who else is watching or what they are going to say. Alexander, conservative, silent at times - he's learning to become more like Raven, she's rubbing off a little. I think he's rubbing off on her too. I do wish they'd hurry with the next book - I want to know what happens. She ends it at a high moment... ughhh!!! There's a new vampire in town. His name is Valentine Maxwell. Goth-girl Raven knows this latest intruder can only mean trouble—he's the younger sibling of two vampires she fought to drive out of Dullsville. But when her brother, Billy, befriends this dangerous tween night prowler, the stakes are suddenly higher. Though torn by the excitement of every teen girl's fantasy—attending the prom with her boyfriend—Raven must do everything she can to protect Billy. Valentine's appearance may pose even further threats. Could he somehow know Raven's innermost feelings about becoming immortal for her true love, Alexander? The far-from-ordinary romance of these two teen outsiders takes another surprise-filled spin in the fourth book of Ellen Schreiber's applauded Vampire Kisses series. When Raven returns to Hipsterville's cryptic goth haunt, the Coffin Club, she discovers a secret door to another disco-"The Dungeon"-that is inhabited by vampires only. Raven learns that the nefarious Jagger Maxwell has welcomed the vampire clan into the club and has gained the popularity he missed in Romania. He is poised to take over Hipsterville, until a new vampire named Phoenix challenges him for control of the Coffin Club. Unbeknownst to Alexander, Raven becomes caught up in the clash, entranced by the hypnotic vampire culture of the Underworld. A surprising twist at the end reveals that Phoenix is really Alexander! Alexander frequented the club in disguise to try to thwart Jagger's plans to expose the club's vampire clientele to the town. Summer break is over, and Raven is hardly eager to be returning to Dullsville High. Not only does school mean daily interaction with preppy pest Trevor Mitchell, but her sleep-filled days and romantic nights with her immortal boyfriend, Alexander, must come to an end. Plus the shock of morning classes isn't the only change in store. An unexpected letter turns up at Alexander's mansion-announcing his parents will be coming to town. And once they arrive, it seems just about everyone has had a sighting of the macabre couple except Raven. What could be delaying Alexander from introducing Raven to them? His strange distance leads Raven to think he must be hiding something about his parents' homecoming. When Raven is finally invited to the most thrilling and fear- provoking dinner party of her life, the next turn of events could transform her entire future with Alexander. The sixth book in Ellen Schreiber's juicy Vampire Kisses series takes an unusual twist in the continuing romance of Raven and Alexander. 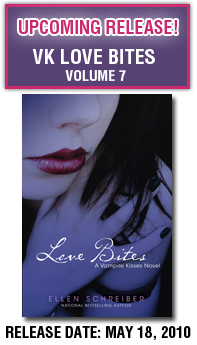 As a mortal girl dating a vampire, Raven knows that love isn’t always easy. Now that Alexander’s parents have returned to Romania, Raven and her dreamy vampire boyfriend are happy to resume their cryptic romance. But soon another visitor comes knocking: Sebastian, Alexander’s best friend, arrives for a stay at the mansion. At first Raven is wary, and then thrilled – this is the perfect chance to learn more about her darkly handsome boyfriend and his past. Raven has been wondering whether Alexander will ever bite her and make their love immortal, and Sebastian could be her guide to the love habits of Alexander and his kind. But when Sebastian falls for a particular Dullsvillian, will another mortal beat Raven to the bite? With suspense, danger, and a fabulous vampire party, this seventh book in the bestselling Vampire Kisses series continues the exciting nocturnal romance of Raven and Alexander. Solo is back this summer with their second annual Solo Online Photo Contest! And like last year, they are unveiling new must-have product just in time for summer barbecues. 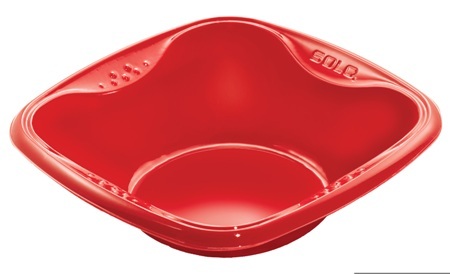 Solo Squared™ plates and bowls are the perfect complement to their popular Squared cup. These durable, single-use cups, plates and bowls cut down on clean-up time, which means more time for summer fun! Speaking of fun, how does winning great prizes sound? 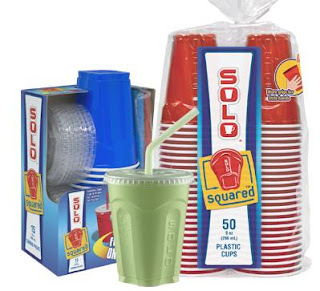 The Solo Cup Company has launched their second annual online photo contest with a grand prize of $5,000 for the best photo featuring Solo products. You'll be able to enter your favorite photos at www.SoloCups4ever.com until August 6th. In addition to the grand prize, two $1,000 runner-up prizes will be awarded at the end of the contest. By entering, you'll also have the chance to win daily and weekly prizes of gift certificates and Solo products- a great way to extend the fun of summer well into the fall! Our favorites are the cups - the come in LIME GREEN!! for the summer. And the new Its My Solo Cup - you can scratch your name, design or anything on the cup and mark it - PERFECT for those summer backyard parties! Now go find your favorite and take a picture with it!! I just finished the first three books (they are all put together into one) called The Beginning. It is definitely a preteen book. A lot of kissing lol but nothing more. The characters are in high school, go to dances, hang out in cemeteries and can get the entire town to believe rumors/lies about new people in town. (kind of a 90's era book) but still good. Raven is the main character - she's an outcast, goth girl who LOVES vampires. Then her dream comes true when a live vampire moves to town and lives in the attic of an old mansion... she even sneaks in to see if the rumors are true. She finds true love, finds out what being a vampire is really all about and has to learn how to protect her family and friends while still wanting to be 'turned'. Tons of school kid antics, a little bit of vampire knowledge and a little romance thrown in. The mansion on top of Benson Hill has been empty and boarded up for years. But a new family has moved in. A family that never ventures out during the day. Who are these creepy people –– especially the handsome, dark, and elusive Alexander Sterling? Or rather, what are they? Could the town gossip actually be true? Are they vampires? Raven, who secretly covets a vampire kiss, both at the risk of her own mortality and Alexander's loving trust, is dying to uncover the truth. Dance with a Vampire, The Coffin Club, Royal Blood and Love Bites are all out - the series started in 1998 but was picked up again later... I'm glad it was!! Kung Zhu Pets Have Arrived! Now I'll show you each one that we received and even the finale of putting it all together but first I had to show you the one thing that made me almost pee my pants laughing. The Giant Battle Arena - this is pretty big but gives them enough room to 'battle' in. Easy to assemble too. What you saw earlier in the little video was the Rhino Tank (hehehe) and we also received the Buzzsaw Tank - What's nice is that they fit snuggley inside but even our big fingers can slide in to push a button to make them go. There's a place to put the front stand inside to secure them but the kids just pushed them in and they found their place easily. Ok now for the fun part! This is where the good stuff happens and then they ride into battle! Now there also have these attachements that make it more challenging - Be careful because one hit is all it takes to knock you hamster out of the battle! Now would you like to see it in action and with the kids?? Would you like to receive your own set of Zhu Zhu Pets, Battle Arena and more!! Yes, we have a package all set and ready to head to a good home. Maybe this wasn't the best time to try and read it, but I did manage my way through it. When your sick (this sick) and tired your mind starts to wander while your reading lol. Not good with this book - it REALLY makes your mind wander. 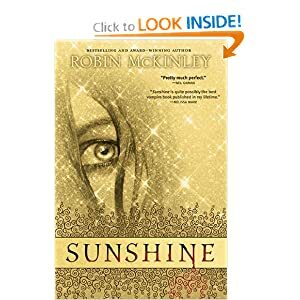 The book starts out with Sunshine... normal girl, dead father, a mom, step father, half brothers, works the bakery in her step fathers coffeehouse... normal. Then it takes off into another dimensions, of twists - your reading like your in her head. Her thoughts, ideas all of your reading in between conversations, actions... its an odd thing to do lol. But it gets good - you learn she's not normal, she not living in 'our' world as you would say - its a world like ours with different names, 'Others' Vampires Werewolves and more. The author doesn't go into detail about it at first - she slowly weaves it into the book and you realize what they are talking about. I would say it left me wanting more. I would want a series - to find out about the loose strings left hanging in the breeze. I would say its an adult book - it does have a 'sexual' scene in it and talks bluntly about it - but its quick and over in seconds. If you can handle being in another persons head and hearing all the thoughts while reading about what's happening - you can handle this book. Rae, nicknamed Sunshine by her stepfather, is the baker at her family’s coffeehouse. She’s happy getting up at 4 am to make cinnamon rolls for the breakfast rush, and dealing with people and food all day. But one evening she needed somewhere she could be alone for a little while, and there hadn’t been any trouble out at the lake for years. She never thought of vampires. It was a small problem that launched the idea for Shell Raham’s big business in November of 2009. A teacher friend had mentioned to Raham how hard it was to find the right jacket or shoes to pair up to the children in her class. To solve the problem, Raham created a funky, personalized bubble with bright and cheerful illustrations and little balls inside to attach to sneakers. But it was when Raham turned the bubble into a zipper pull that she knew she had a hit on her hands. Her three-year-old son was thrilled with his new found ability to easily grasp the bubble and zip up his own jacket. Stanton’s packaging design features a reusable wipe off coloring image and proclaims the company’s strict testing standards, a rarity in children’s jewelry. Raham worked with Health Canada for classification and to ensure testing was conducted through an accredited Canadian laboratory and exceeds Canadian Standards for children’s jewelry. The Zip-Its, and a companion line of trading necklaces with removable bubbles, debuted in retail stores in May. Bubble Friends Forever now includes hundreds of illustrations, including from hockey to video game designs to the obligatory princesses. We received our beautifully packaged box of Bubble Friends Forever and the kids couldn't take their hands off of them. We were sent 2 trading necklaces, 4 Zip - Its. I couldn't wait for the kids to try them out and then to show you!! The trading necklaces are cute!! They have a strong necklace laced through the curved backing and we tested them with the teens even - they didn't break. They fit nicely in the palm of the hand and with the curved back little fingers can hold on :) She's really thought of everything with these! The Zip - Its are the neatest idea - you can see both the girls and boys versions and she includes instructions too. Easy to put on and they don't slide off. No more wondering whose jackets whose and they work on the backpacks too!! CONTEST CONTEST CONTEST CONTEST CONTEST!!! Enter the contest below by doing one of the following and posting that you've done so. 1 Entry - go to www.bubblefriendsforever.com/shop/ and tell me what item(s) you think are the cutest! 1 Entry - Blog about this contest! Just finished the book - it was different than the ones I've been reading with vampires or mystical creatures. This one involves werewolves. Grace and Sam are destined to be together. He saved her when she was younger from an attack and she falls in love with him... as a wolf. His eyes, yellow and dreamy she can't take her mind off them. She realized though that he's just not a wolf, but a werewolf when he appears at her door, naked and shot... they spend weeks together learning about what he is, how they are connected and that Grace herself was 'bitten' years ago. Her friends at school and the town hear of a wolf attack and those dreary images sliding back to Grace of her own attack when she was young... but the biggest gossip is that Jack (another kid at school) was gone/dead after he was attacked... this spirals the whole book - more kids/friends learn of the truth and the bitterness that comes with it. With each cold day coming quicker, Sam and the rest of the wolves know its their last days to be human and their change back to being a wolf inevitable. But why has Grace not changed, why has she retained her human form with her sharpened skills... could there be a cure or a new change of the rules for future werewolves? And what will become of Sam, her love? I loved the book and the ending, sooo happy this is a trilogy and that I get more!! Totally preteen appropriate - some sexual tension but the author doesn't go into any detail other than their kissing. Kept my attention the whole book and it seemed seamless as the author goes between two point of views - Grace and Sams - as each chapter goes back and forth between them. You see it from both perspectives - neat! For years, Grace has watched the wolves in the woods behind her house. One yellow-eyed wolf—her wolf—is a chilling presence she can't seem to live without. Meanwhile, Sam has lived two lives: In winter, the frozen woods, the protection of the pack, and the silent company of a fearless girl. Linger comes out July 20th 2010 and the third Forever in July 2011. I'm stamping my feet I'm so mad, Ughhh the book ending with so many things unresolved. GREAT book! What Lissa and Rose go through in this one shocks me, I didn't think Lissa was capable and I didn't expect the result of it all. Rose of course - love triangle of a Strigoi who is sending her love/death letters and Adrian. Her strong fighting spirit is there full force and its amazing at what they accomplish in this book. After a long and heartbreaking journey to Dimitri's birthplace in Siberia, Rose Hathaway has finally returned to St. Vladimir's—and to her best friend, Lissa. It is nearly graduation, and the girls can't wait for their real lives beyond the Academy's iron gates to begin. But Rose's heart still aches for Dimitri, and she knows he's out there, somewhere. She failed to kill him when she had the chance. And now her worst fears are about to come true— Dimitri has tasted her blood, and now he is hunting her. Only this time, he won't rest until Rose joins him...forever.